Today I have witnessed a Copier company that is supposedly a manufacture direct here in New York City area who tried to do a bait & switch on a company. This lying bum proposed a Copystar 5500i and then drew up a lease for a copystar cs520i! Yea ok, just one digit off…. As I read through the proposal, there was many things that just did not jive. 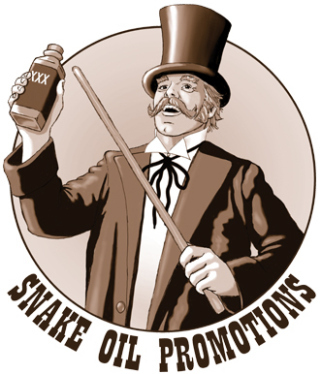 I will repeat, this is coming from a company, a large company that is directly associated to the manufacture, I will not reveal names at all, I wont go there, I just want to let YOU know about the “snake oil salesman”. This entry was posted on May 24, 2014 at 4:51 am and is filed under Uncategorized. You can follow any responses to this entry through the RSS 2.0 feed. You can leave a response, or trackback from your own site.